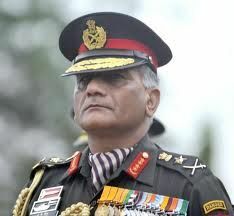 Army chief General VK Singh’s attempt to retain May 10, 1951, as his date of birth came crashing down as the Supreme Court (SC) upheld the government’s contention that his year of birth was recorded as 1950. The court said while it had complete faith in Gen Singh’s integrity, it would go by the government’s service records. In view of this, Gen Singh will have to retire on May 31 this year. The three-hour session in the SC boiled down to the fact that Gen Singh, as a young student, had filled in 1950 as his birth year when he had applied for the National Defence Academy. The SC felt that since this led to a chain of documents at the “threshold” that recorded his birth year as 1950, little could be done at this stage.